This pub was first listed in 1824 and was called the Black-a-Moor's Head until around 1851 when it changed its name to the Black Boy Inn. 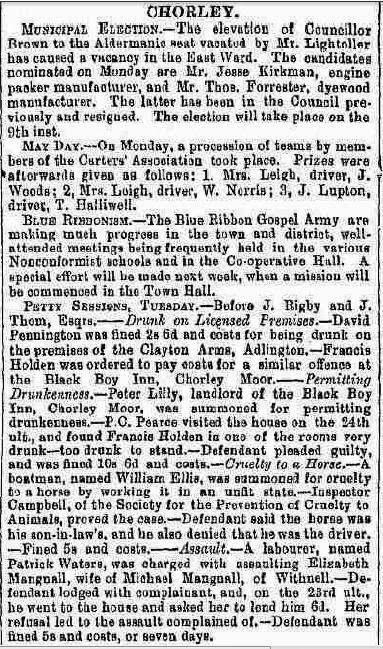 There was another pub listed six years earlier in the 1818 directory on Chorley Moor called the "Labour in Vain", which may also have been the Black-a-Moor's Head. 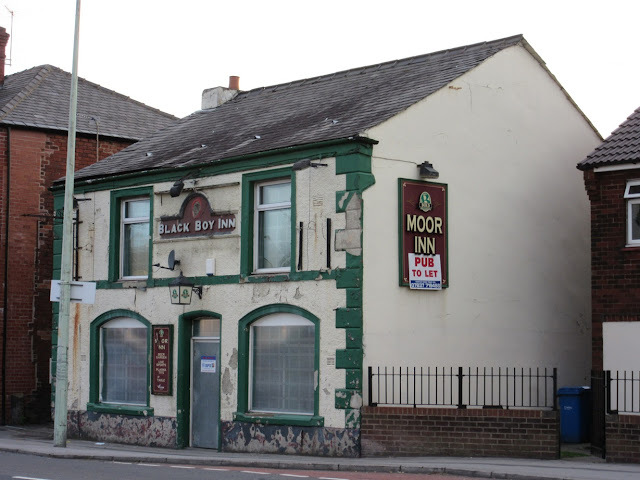 It is only in the last decade that following refurbishment it has been the Moor Inn as pictured above. 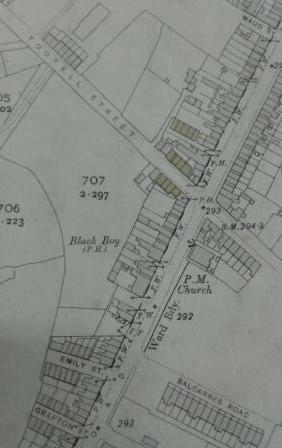 Whilst the building itself has not moved it has had a number of postal addresses as the town developed. This area of town is known as Chorley Moor and until the 1870s Moor Road did not exist in name and the pub was listed as at 82,Chorley Moor. 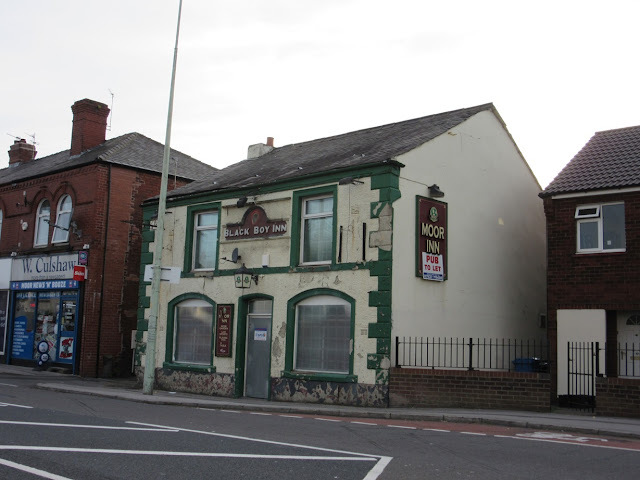 In 1824 it was listed on Mill Street. 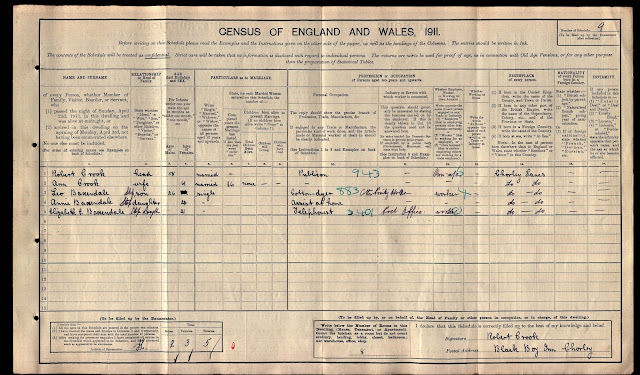 There have been a steady stream of different landlords including Thomas Speakman (1824), William Turner (1835-39), James Mansfield (1841), Ralph Taylor (1851), Sarah Hope (1861), William Shaw (1865-71), James Marsden (1874-6), Pennington Ashton (1879), Daniel Ratcliffe (1881), Peter Lilley (1882), Joseph Hodgkinson (1889-91), Thomas Marsden (1901), Robert Crook (1911), William Robinson (1936) and Frank Wignall (1940's). 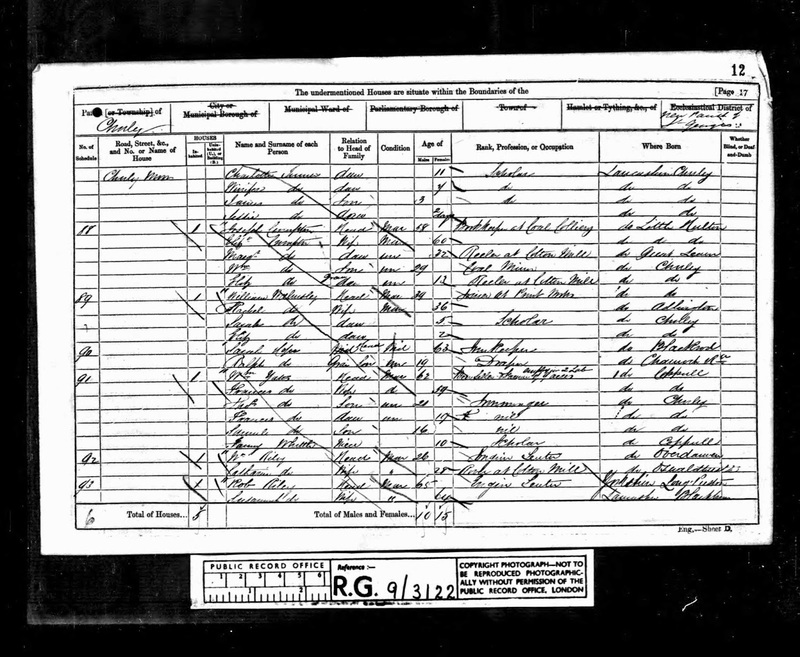 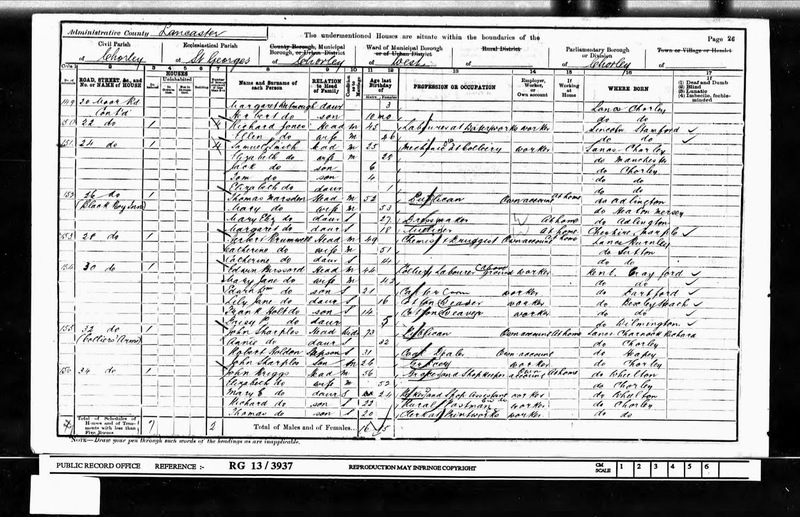 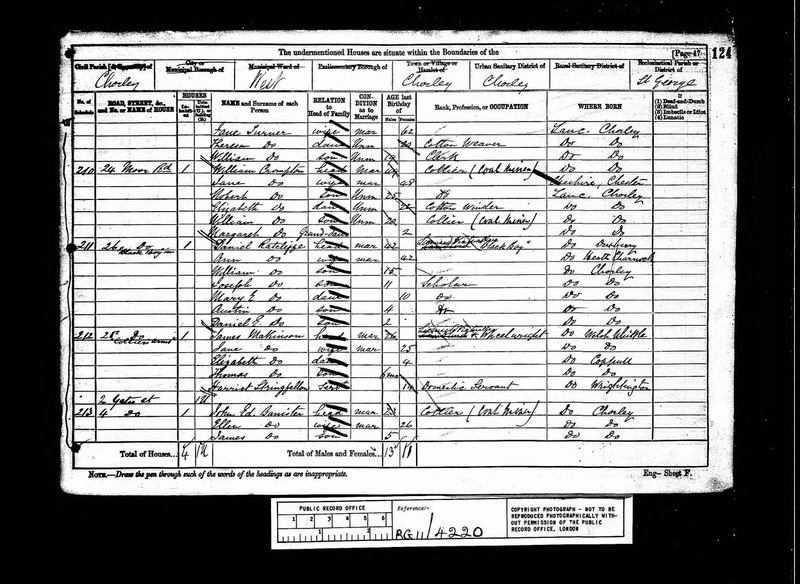 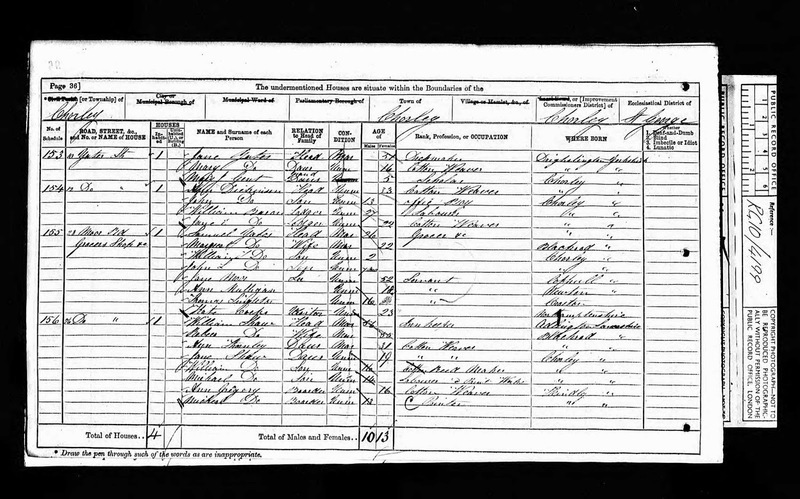 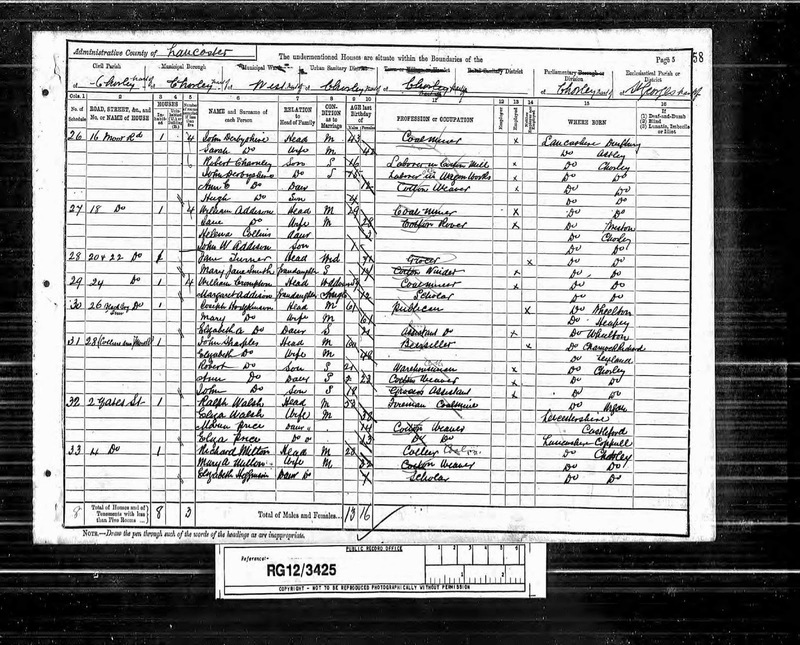 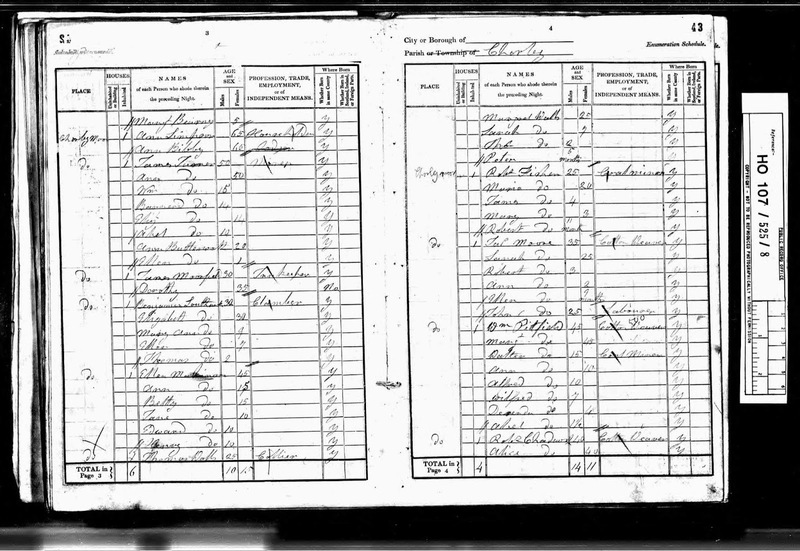 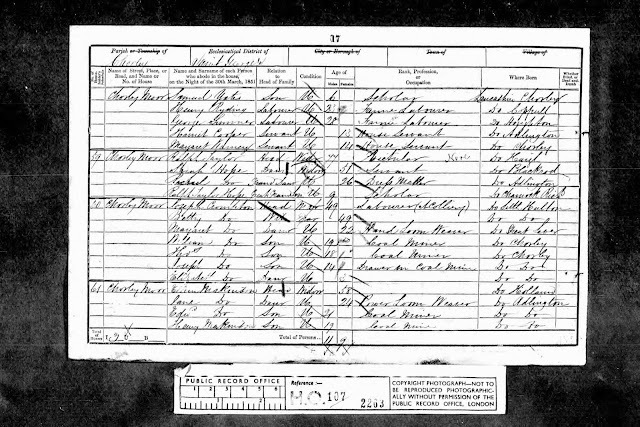 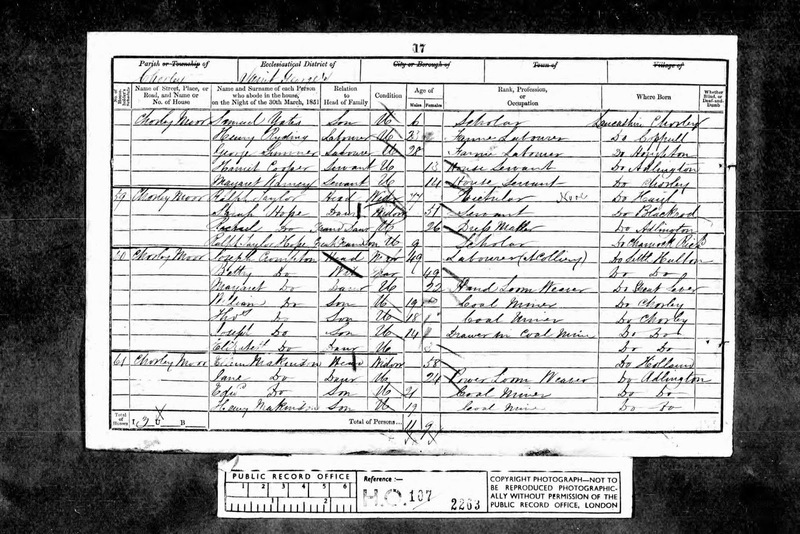 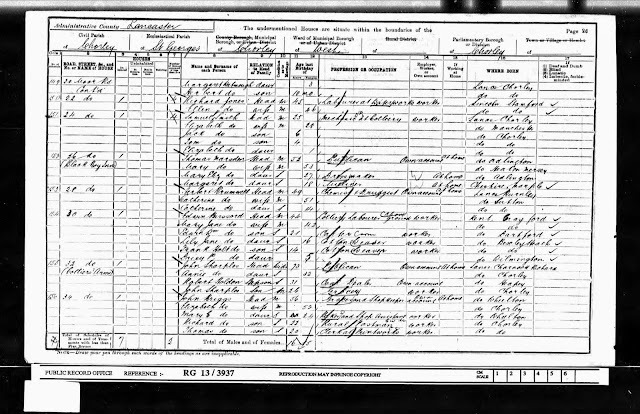 The 1851 census shows Ralph Taylor as the Innkeeper at the age of 77 years; he was widowed and living with his daughter Sarah Hope who went on to be the landlady following Ralph's death in Chorley in 1860 (see 1861 Census below). 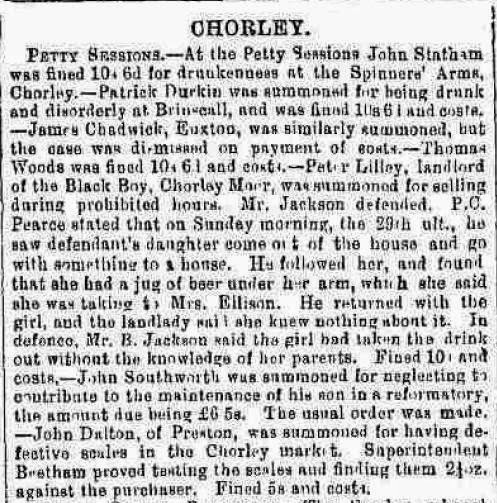 Peter Lilly was the landlord in 1883 when he ending up in court for permitting drunkenness in the pub! 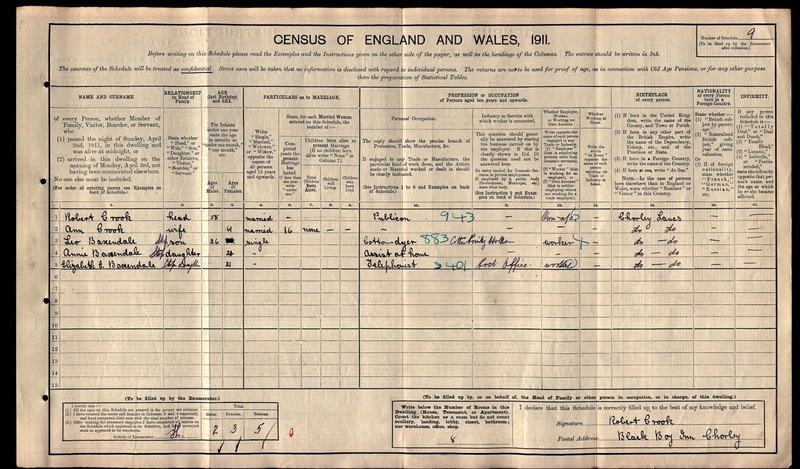 c.1940 Joseph Wignall (left) who was landlord of the White Bull's Head. 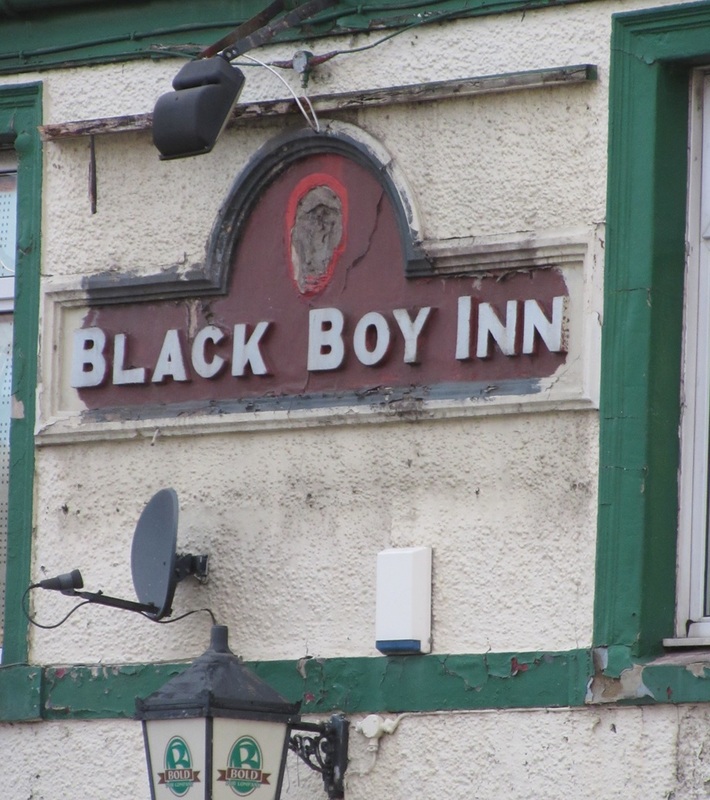 His son Frank was running the Black Boy Inn. 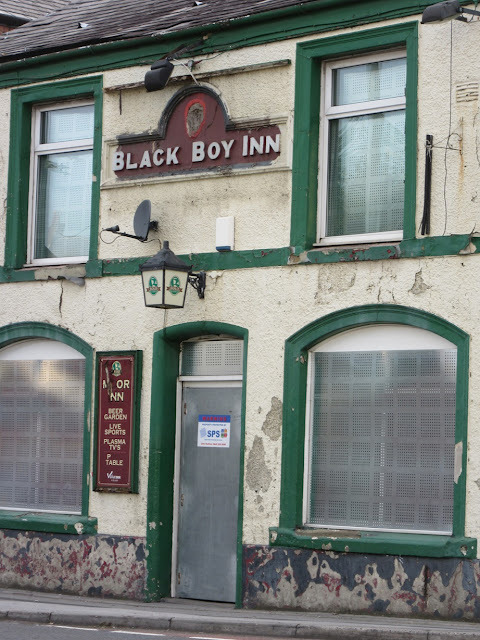 I lived in the area during the 1950s and 1960s and recall that the pub was known colloquially as the Black Lad.